1. You will learn so much about another culture. You can read about other places all you want, but it will never give you as much knowledge as experiencing it. Exchange students have real life insights about countries you may have never considered going to. Engaging in a friendship with someone foreign will open your eyes to social issues, political situations, and ways of life you wouldn’t have examined before. You’ll get a primary source of information and learn so much from them. 2. You’ll learn new languages and dialects. One of my favorite things to do with my foreign exchange student friend is talk about how we say certain words. Even though he speaks another language entirely, it’s always entertaining to examine how we speak English differently. 3. You have someone who is there for you from another part of the world. Even when they’re not physically there, they are always there. There is something so comforting about knowing you have love and support so far from home. 4. The prospect of visiting them in their home country is so exciting! 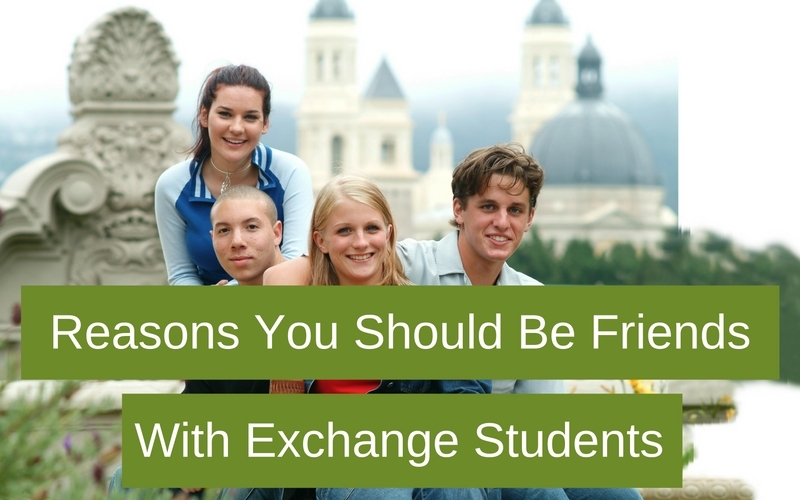 Hopefully your bond with this exchange student is so strong that you can’t imagine not wanting to go and visit them! It will give you an opportunity to learn about their country and their culture first hand. 5. The tearful goodbyes are worth it. Admittedly, this is always the worst part. You’ll know going into the friendship that they will have to go home eventually, but that doesn’t make it any easier. Your heart will break knowing how much you’re going to miss them. But you’re so lucky you found someone worth missing that much. 6. The long-awaited reunions are unbelievably happy. There is no better feeling than seeing that friend again after months, or even years apart. It almost feels unreal at first. But if you do get to see your exchange student again after their initial departure, you are so, so lucky.